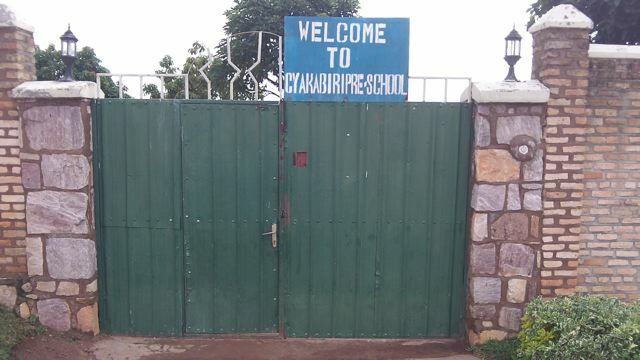 Cyakabiri Preschool has a new look and a new sign. This one is made of metal. The wooden one did not hold up well in wind and rain. 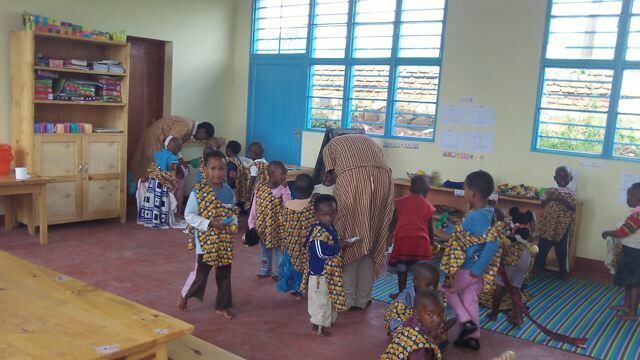 Teaching Rwandan culture. This class moves outdoors. Banana leaves are used in many ways. 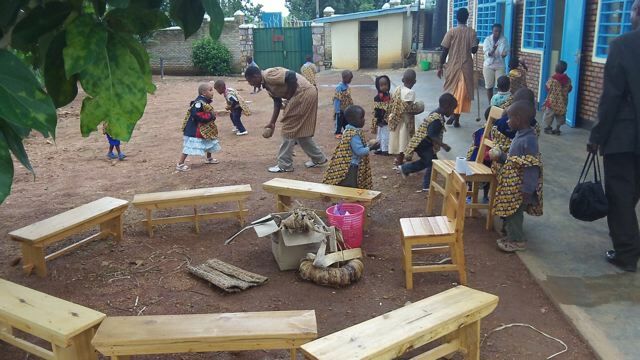 In this picture the kids have made balls to play with. Lots of light and fresh air are a real plus. Newer PostWhat is there to do at Urukundo Village?